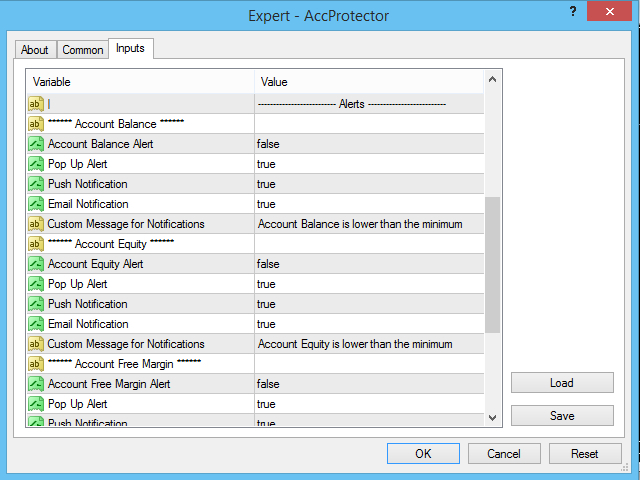 EA Deactivator and Account Informer is an EA and a useful tool to protect your money from unpredictable events when auto trading and also is an informer in specified terms. DEMO Version for testing this EA in Live Market with Limited Options. 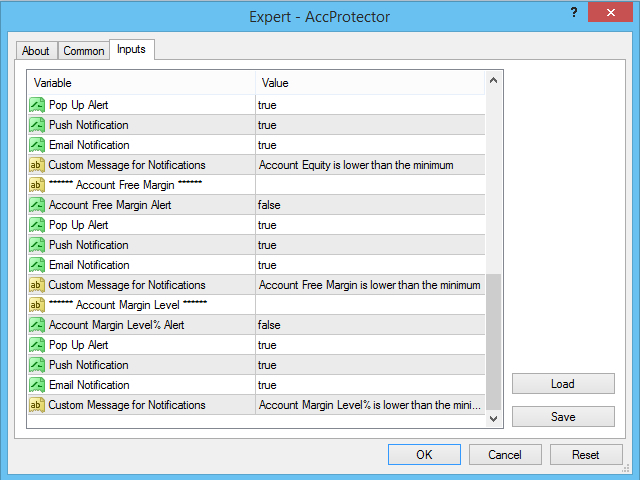 ATTENTION: EA Deactivator and Account Informer doesn’t work fully in the MT4 strategy tester due to its type of functionality. Thus It better to test it only on live quotes . So, This is a Demo version for testing it in Live Market. And... Yes, It works exactly like the description. Use as Auto Trading Deactivator by removing all charts. Use for Closing Open And/Or Pending Orders (True/False). Note: This EA could disable Auto Trading by disabling AutoTrading button in metatrader but because it uses .dll file and the MQL5 market does not allow to upload the ea that uses .dll file, i changed it to deactivate Auto Trading by removing all charts. 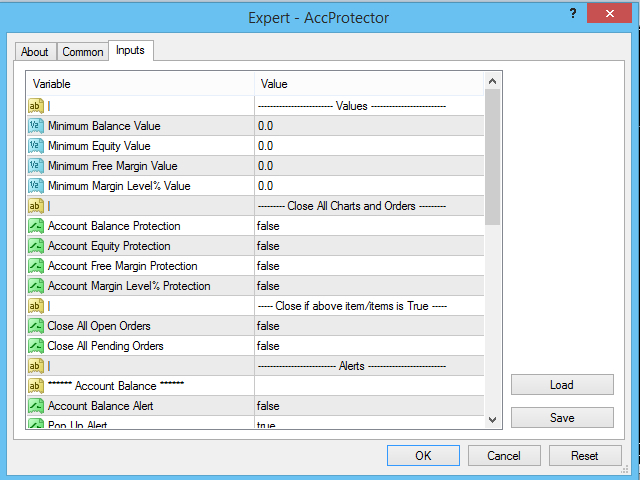 Use as Auto trading De-activator by removing all charts. Use for Closing Open And/Or Pending Orders (True/False) . Note: All Options can be set to True/False. Account Balance Protection - "Not works on Demo Version"
Account Equity Protection - "Not works on Demo Version"
Close All Open Orders - "Not works on Demo Version"
Account Balance Alert - "Not works on Demo Version"
Please let me know your comments or questions.